Signed "R. Bober" bottom right. A fantastic painting of a Swordsman facing a Three-Headed Dragon. 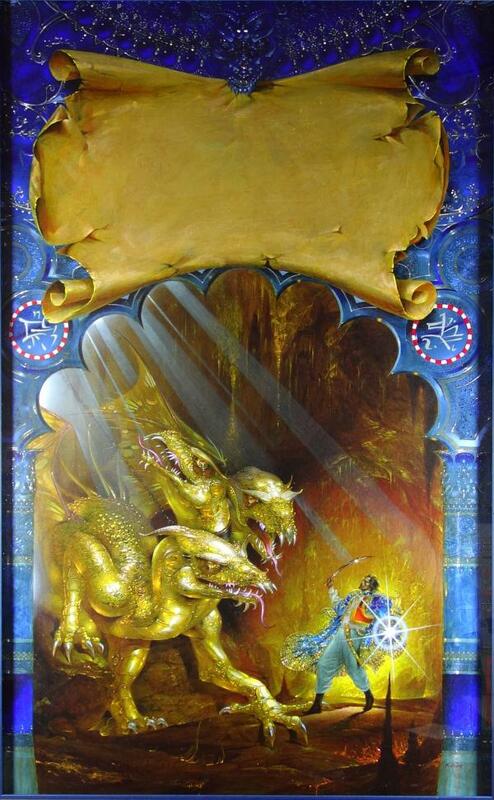 The painting was originally commissioned for the cover of Cave of the Dragon but was turned in too late. Beautiful rich color tones of blue, orange, brown and gold, with striking rembrandtesque highlights.